The NFL has agreed a three-year deal with the Rugby Football Union to stage a minimum of three American football matches at Twickenham. The deal will start in October 2016, with the first series of fixtures to be announced later this year. Two extra games could also be staged at Twickenham, the home of English rugby union, over the same period. 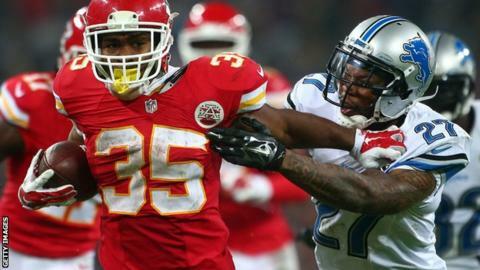 The NFL already has an extended deal in place to stage a minimum of two games per year at Wembley until 2020. Also in London, the NFL reached an agreement with Tottenham Hotspur earlier this year to play at least two games per year at the Premier League club's new stadium from 2018. "We are committed to continuing to grow our sport in the UK and believe that adding Twickenham to our roster of host venues in London is further evidence of that commitment," said Mark Waller, NFL executive vice-president of international. The NFL has staged 14 regular season games at Wembley since 2007.